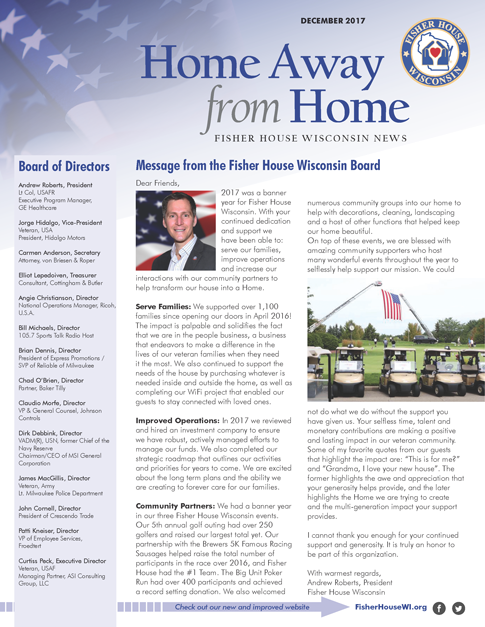 2017 was a banner year for Fisher House Wisconsin. With your continued dedication and support we have been able to: serve our families, improve operations and increase our interactions with our community partners to help transform our house into a Home. Read the full letter by clicking on the image below.